If you’re standing, shears in hand, shaking your head at a tangled mass of roses, you’ve come to the right place. 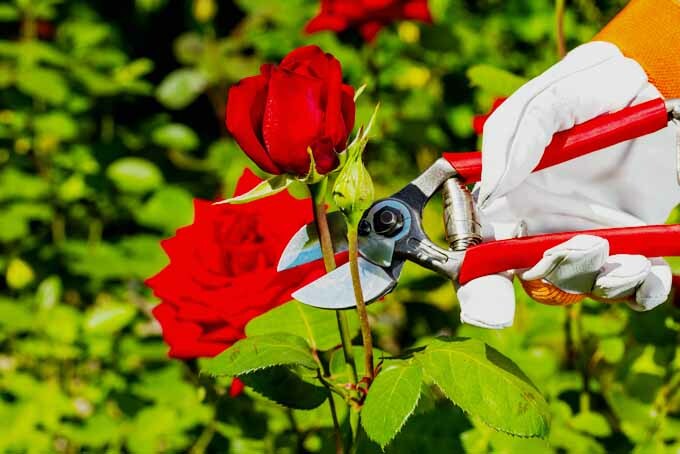 While they can be daunting at first, once you get the upper hand with proper pruning techniques, roses are sure to become one of your favorite flowers. Years ago, I moved and acquired an enormous Knock Out® shrub rose that a previous owner had planted. This type is often used commercially, and I wasn’t thrilled at first, because it’s non-native and doesn’t attract local pollinators. It was a dense thicket of branches over five feet tall and equally wide, and being only a little over five feet myself, it was a force to be reckoned with. I plunged in, literally, up to my ears in branches, with thorns pricking my sweater. 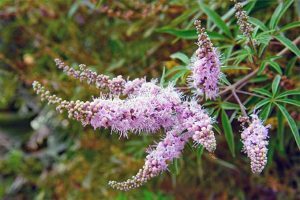 Soon I had an airy, three-foot shrub with gracefully tapered branches that is virtually trouble-free, and blooms three times between spring and the first frost. The first time I saw the sparrows sitting in it waiting for their turns in the birdbath, I knew this was a plant I could love. Do you have a garden rose that blooms prolifically throughout the summer? A potted miniature on your kitchen windowsill that blooms each spring? 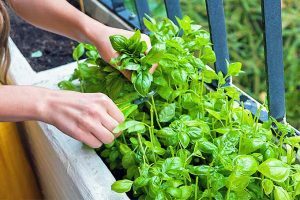 Even if you don’t know the names of your plants, once you get acquainted with their growth habits, you’ll understand how to take care of them. The best time to see the “bones” of your plants is when they’re dormant in the winter. Alternatively, you may strip some leaves from their lowest branches to get an idea of what you’re dealing with. 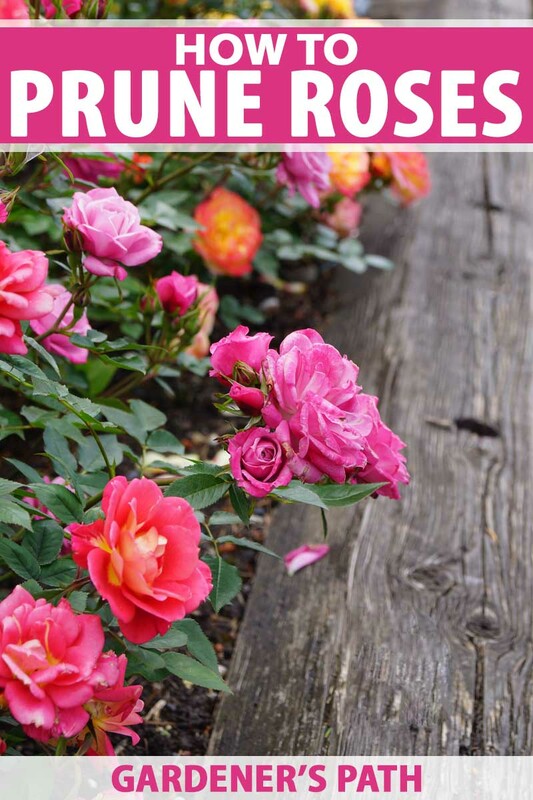 Tree roses are also called “rose standards.” They may be a bush type that has been cultivated to have one long stem with a bushy “treetop,” or a bush, climber, or rambler that has been grafted onto long-stemmed rootstock. The everblooming kind produces blossoms throughout a growing season. The once-blooming type bursts forth, usually in spring, and is finished for the year. The repeat bloomer puts forth blossoms several times during a season, like my shrub rose (and if you’re a fan of the Knock Out®, both shrubs and trees are available from Nature Hills Nursery). That’s the easy part. 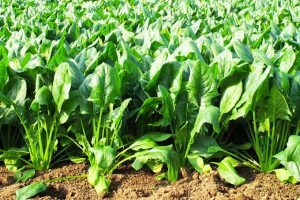 From here, it can get as complicated as you like, from straight species to modern hybrids, and a culture that includes classifications, societies of aficionados, and international competitions. For our purposes, suffice it to say that roses require attention with shears at some point, regardless of their size, shape, class, or bloom pattern. We cut canes for two main reasons: aesthetics and good health. 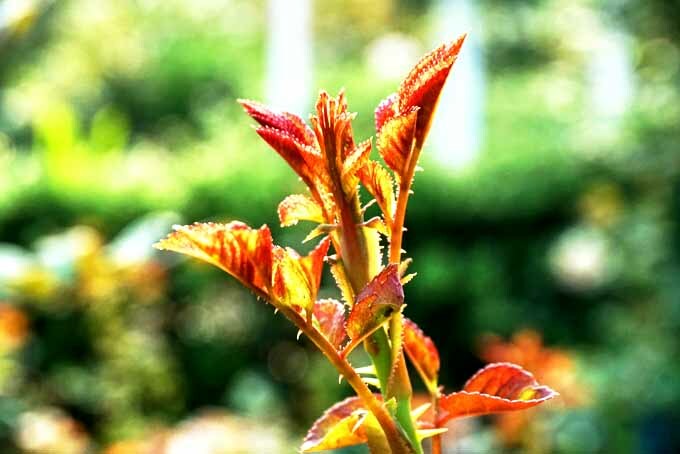 A garden bush type, like a hybrid tea or floribunda, may be pruned deeply to produce fewer leaves and stems, and more flowers. 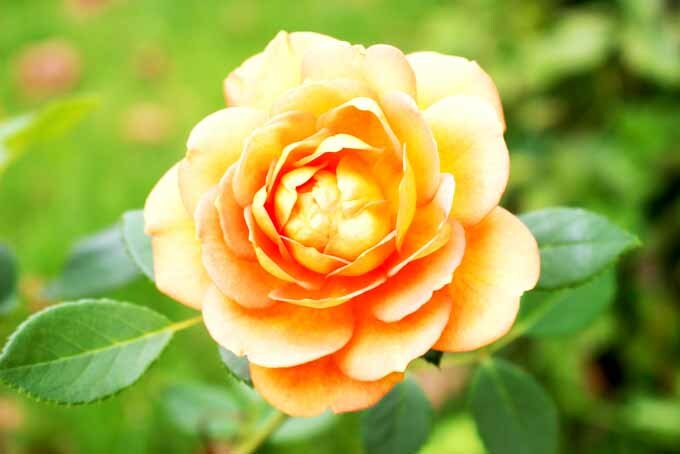 A shrub rose may be reduced by one-fourth each year, to keep it manageable. And climbers and ramblers may be trimmed lightly to redirect wayward canes. 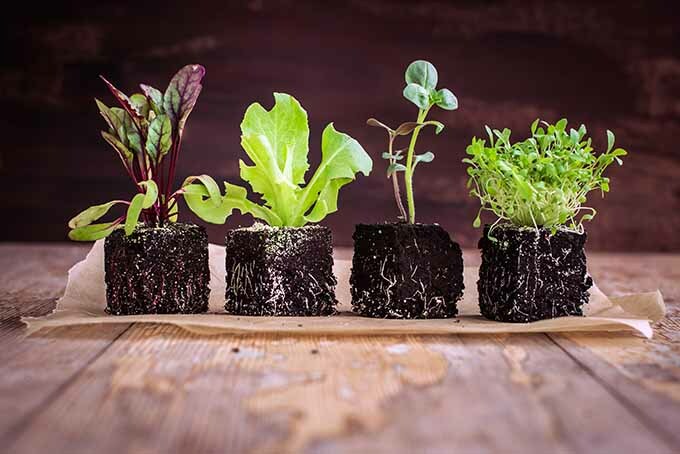 Did you know that plants that are well groomed are more likely to be healthy? 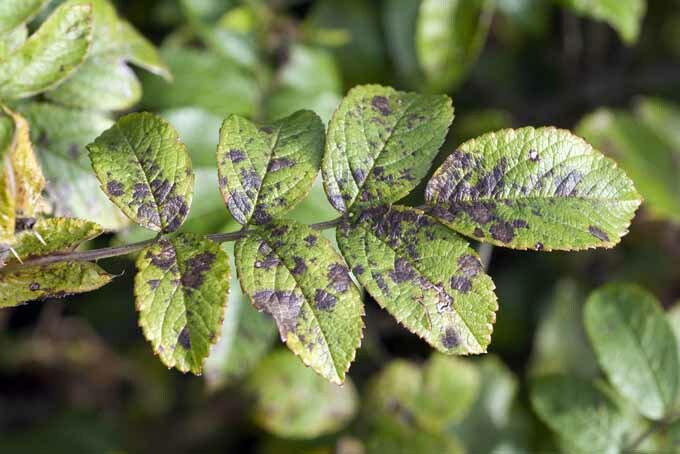 When we see a spotted leaf or damaged cane, we can remove it and slow down – or even halt – the spread of a fungal disease like black spot, or an infestation by a cane boring beetle. With the goals of health and beauty for motivation, it’s time to get your supplies ready. The first thing I learned when I dove into my prickly shrub was not to wear a sweater! 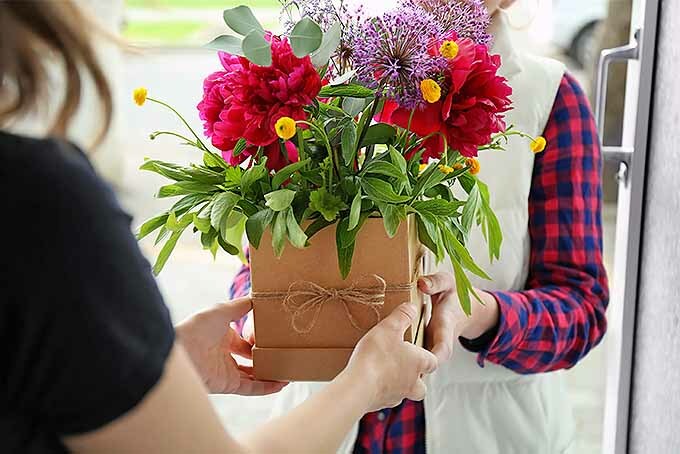 I also like to bring a cardboard box, paper bag, or plastic bin with me for collecting clippings, since plastic snags and can be difficult to work with. 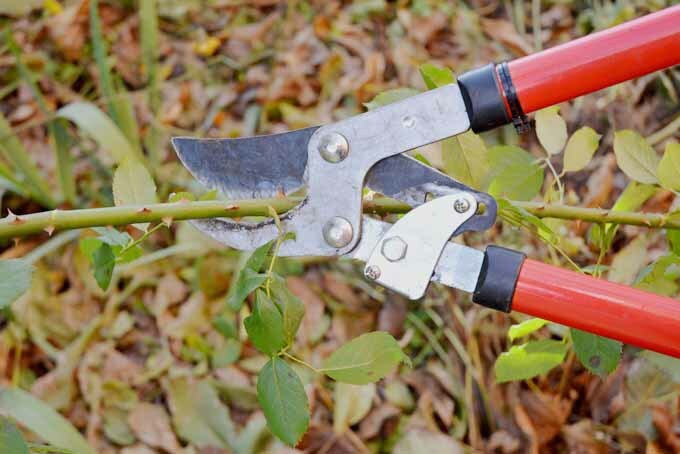 Now that you know about rose behavior and you’re safely suited up and prepared with the correct tools and supplies, here are 5 of our top tips to make you a pruning pro in no time. 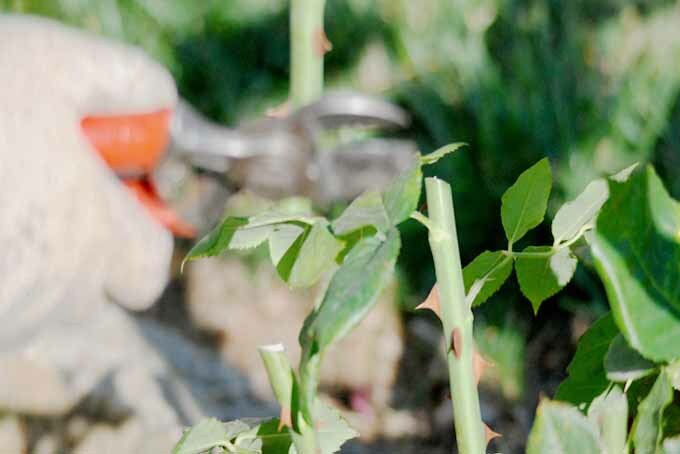 There are probably as many growers of roses as there are opinions on how to care for them. 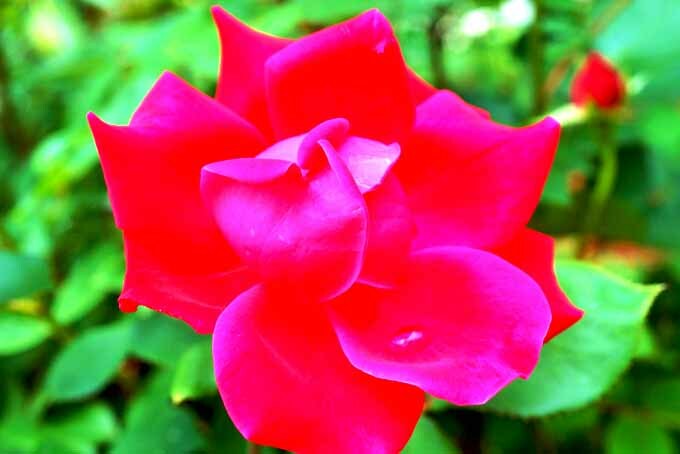 However, most would agree that the following tips are applicable across the rose spectrum. It’s advantageous to cut branches at a 45-degree angle under all circumstances, whether pruning, deadheading, or cutting for a bouquet. When you choose a branch to cut, try to locate a bud eye facing outward from the plant’s center. 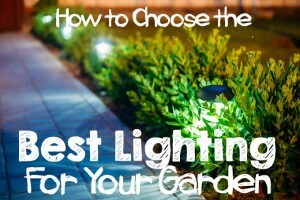 This is easy to do with garden bushes and shrubs. A bud eye, or latent bud, is a bump on a dormant branch that will sprout in spring. 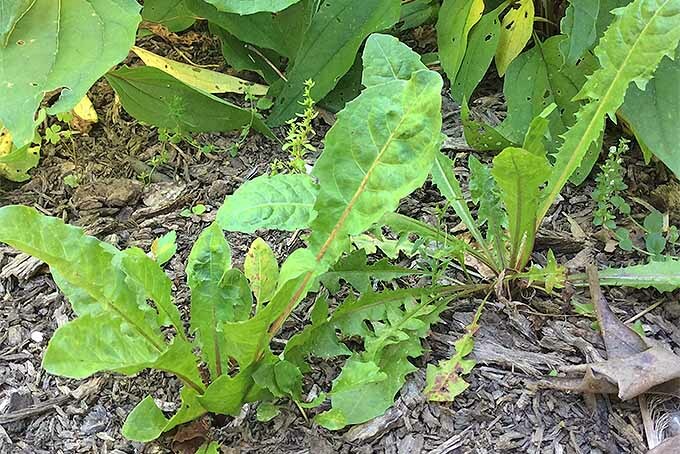 Cut about 1/4 inch above the eye, on a 45-degree angle that slants down toward the center of the plant. If you’re pruning during the growing season, locate a mature leaflet of 5 to 7 leaves that faces out from the plant’s center. Make a clean cut at a 45-degree angle about 1/4 inch above the leaflet. 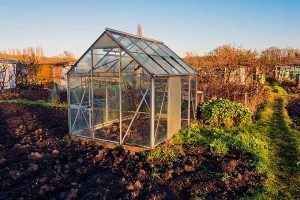 The rationale behind the angle and inward slant is that this encourages outward growth and keeps the middle of the plant open for air circulation. It also enables rainwater to run down behind a bud eye instead of over it, where it may remain and cause moisture buildup. 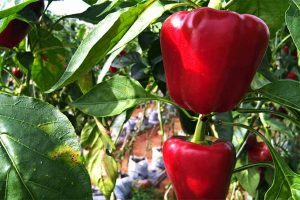 As I noted earlier, air circulation is important to prevent moisture buildup, which may make a plant susceptible to fungal disease or insect infestation. The more air that reaches the center of a plant, the better. 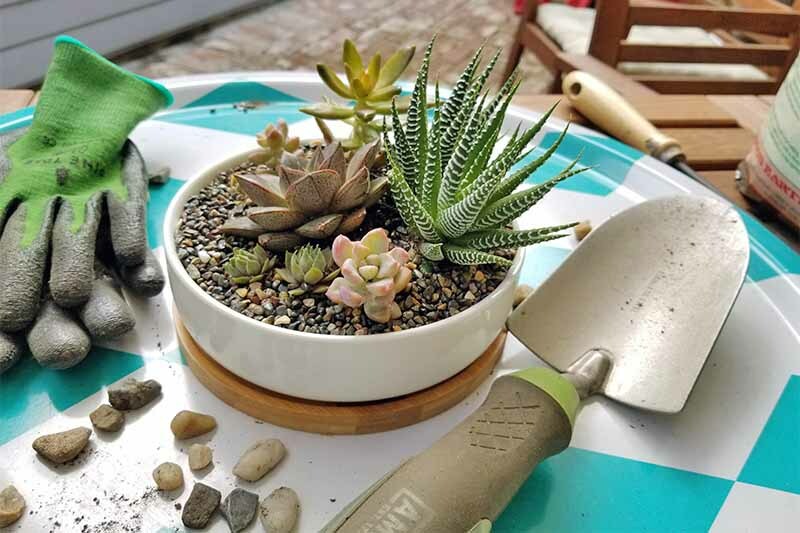 So, in addition to outward, angled cutting, you want to declutter the center of your plants as much as possible. This means removing dead canes and twigs, as well as canes that grow inward, and those that cross others. Rubbing breaks the surface of a cane, providing prime breeding ground for disease and insects. An open, airy plant holds firmly to the ground. It bends rather than breaking in gusty wind. 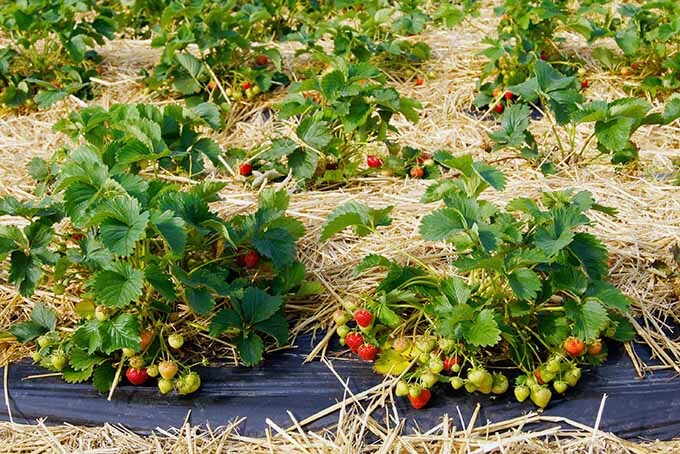 Remove all “suckers” that grow up like weeds from the rootstock. They sap the plant of its nutrients and clutter the center where the air needs to flow. Deadheading is the process of removing finished blossoms while their petals still cling, and before they’ve begun to produce seed hips. While a plant is blooming, it directs its energy toward its flowers. Even as those flowers die, they receive the bulk of a plant’s nutrients, in preparation for forming seeds. Deadheading halts seed production and redirects the life force back into the stems and leaves. 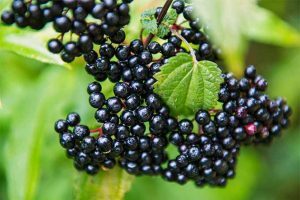 Cut stems on a 45-degree angle above an outward-facing bud eye or mature leaflet to promote the growth of sturdy stems and showy blossoms. Some folks apply a thin coating of white craft glue to the cut tips of branches. 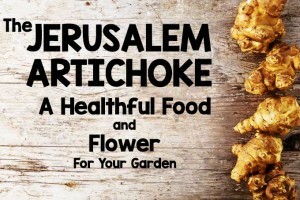 This is a great way to ward off disease and insects that seek vulnerable tissue. And if you really want to go the whole nine yards, sanitize your cutting tools in a solution of one part bleach to 10 parts water. Do this between plants, and after removing any diseased or infested material. The flowering plant that has the fewest leaves and stems to nourish produces the largest blossoms. 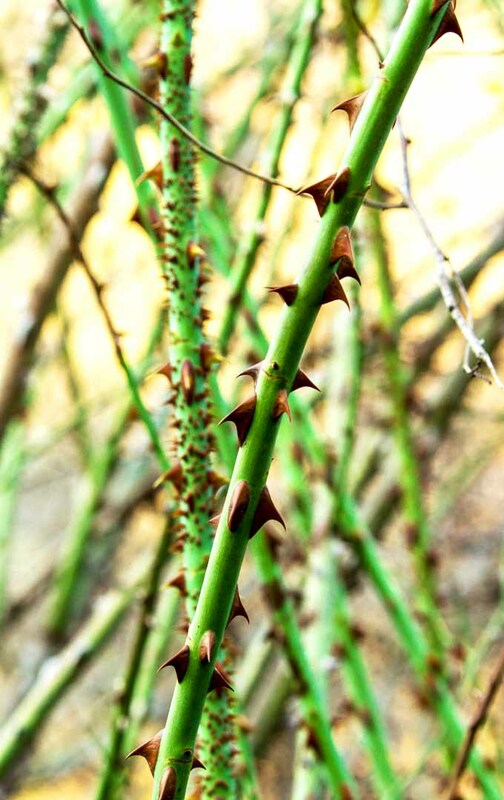 If you have a garden type rose bush, you may prune it down to about 12 inches, leaving about four to six main canes all leaning out from the center. This generally produces a plant that is small in stature with a few large blossoms. Conversely, this same plant may be pruned to two feet tall with seven to 12 canes, for a taller bush with more leaves, and numerous – but smaller – flowers. 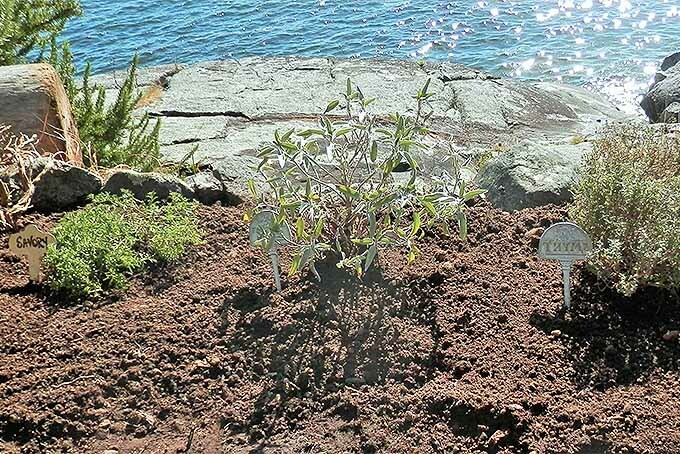 We said that shrub roses may be deadheaded to encourage blooming. In addition, by cutting stems on a 45-degree outward-facing angle four to six inches below the faded flower, the plant will produce sturdy stems for new flower clusters. 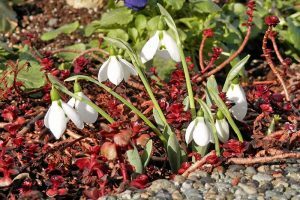 If deadheading consists of simply pinching off spent blossoms at their base, new growth will be spindly, and flowers may hang their heads toward the ground. 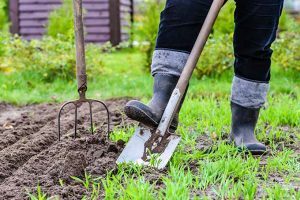 Most gardeners say that the best time to do a major pruning is during the last phase of winter dormancy. But this is not a hard and fast rule. In cold climates, since it’s hard to predict the last frost, the appearance of forsythia is often used as a herald for the task. 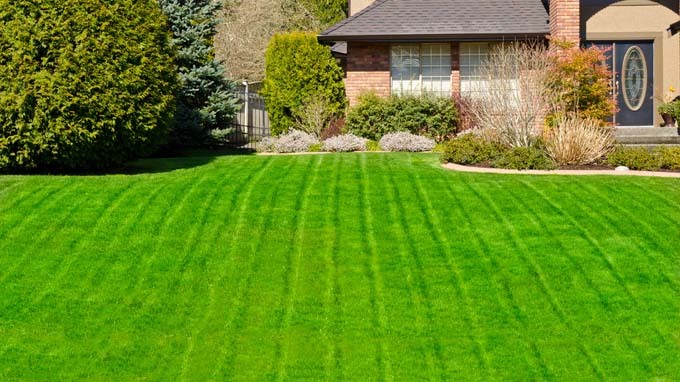 This is the time to prune one-fourth to one-third of shrubs and garden bushes per the 45-degree angle technique, and follow the blossom manipulation instructions provided above in tips 1 and 4. If you live where the weather is warm, you may prune as early as December. 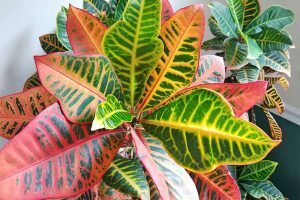 The idea is to do it when the plant is not actively producing new growth or blossoms. Some people swear by fall pruning, and others discourage it. 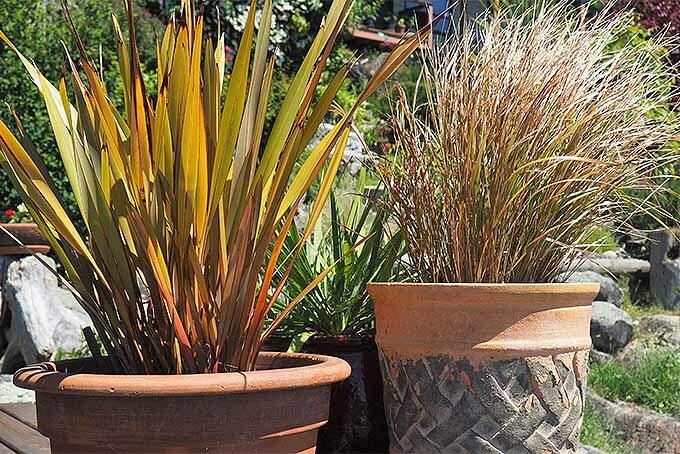 If you find it convenient to trim in autumn, wait until after the first frost, and hope it doesn’t warm up again. 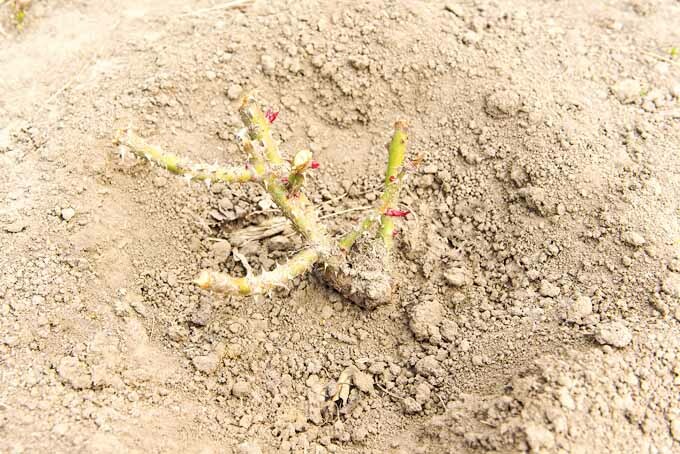 Frost-damaged shoots can lead to permanent cane damage. 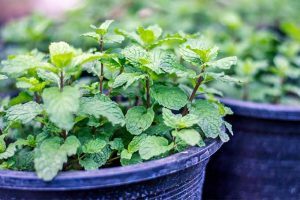 Similarly, if your plants sprout in the spring and then you have a cold snap, you may have to trim per the instructions provided, to dispose of premature growth that has sprouted and withered. I do a lot of summer cutting on my own, deadheading, thinning the center, and bringing bouquets of flowers indoors. Every March I take off about one-fourth of the height. 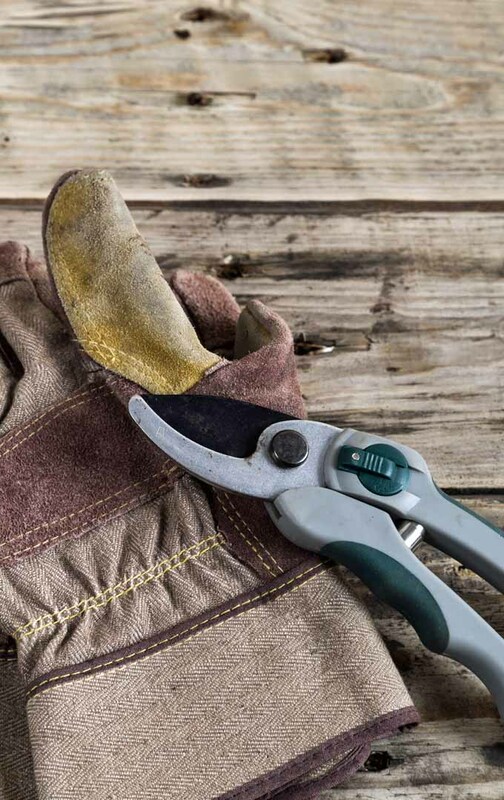 Creepers, climbers, and ramblers may be trimmed to maintain shape, remove dead or damaged material, or deadhead. Be sure to find the origin of a cane for cutting at its base, rather than snipping off the ends, to maintain sturdy canes throughout. Snipping ends may produce spindly stems and flowers that bow their heads. And when you must trim a portion of a cane, cut as described, 1/4 inch above the largest leaf grouping you can find. 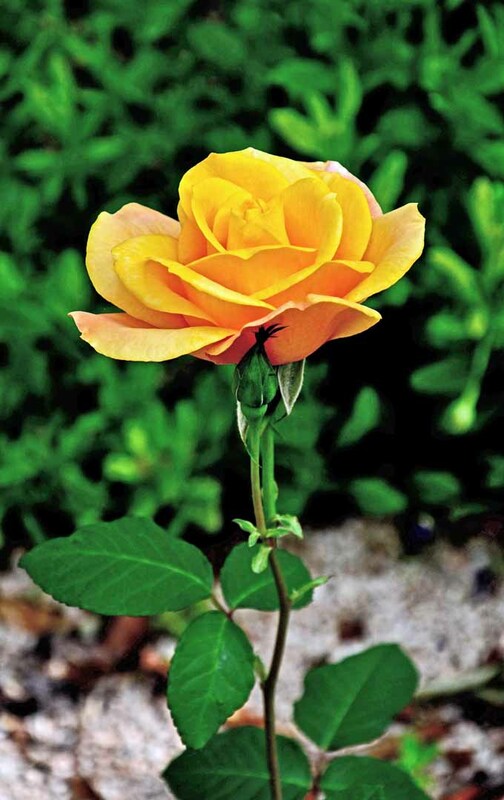 Miniature roses that are not in bloom may be trimmed back by one-third or one-fourth each year, and may require periodic attention for shaping purposes. 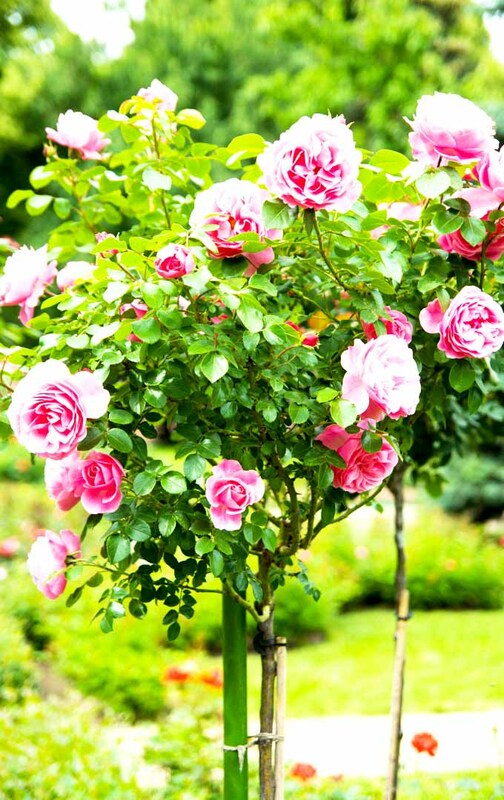 Grafted tree types and rose standards, as we said, are made of bushes, climbers, or ramblers. They require routine shaping. 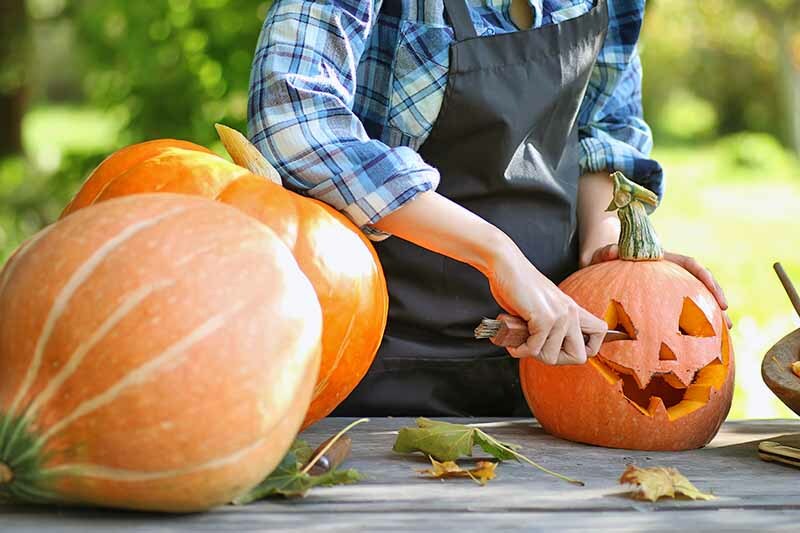 To recap, general maintenance for all types involves deadheading, discarding diseased and infested material, disposing of dead wood, and deep pruning to rejuvenate and/or manipulate the bloom. A final note: you may find canes that are green and alive, but have no leaves, buds, or flowers. These may have been damaged by adverse weather conditions, are of no use to the plant. They should be removed. 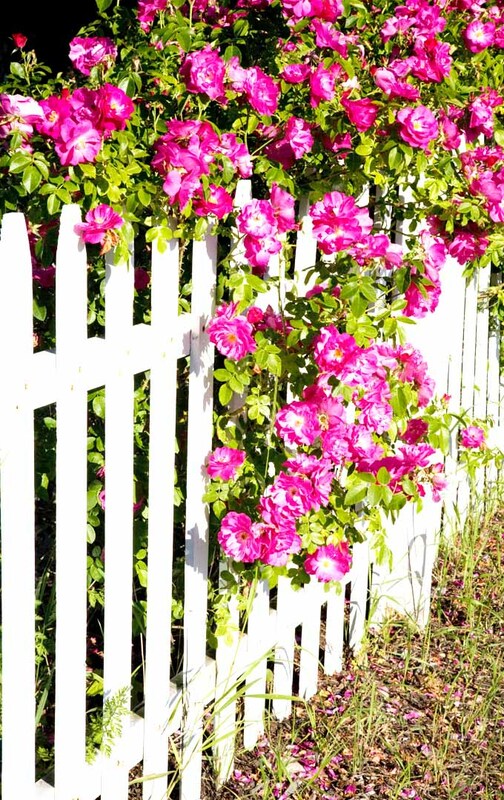 Whether they’re creeping along a garden border, climbing over a pergola, or flanking an entrance, roses invoke a cottage garden ambiance that’s irresistible. And as lovely as they are, they’re tough – so don’t be afraid if you give a bad haircut your first time out. I can’t tell you how many times I have cut the wrong branch. But, like hair, branches grow back with gusto and give you another chance to get it right. Now you’re ready to raise your shears with confidence! 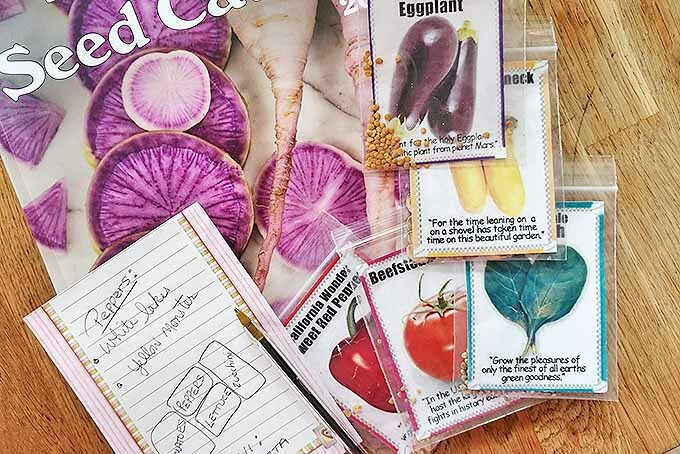 Keep a garden journal and take some photos to document your efforts – and send them our way over on Facebook (please follow our page, if you aren’t already)! We love to hear from our readers. What pruning tips would you like to share? Tell us in the comments below. Need to know what to do with a rose bush that looks dormant …ordered it through the mail.